For decades now, workplace accidents and workplace deaths have been in decline – thanks in large part to the actions of the Occupational Safety and Health Administration (OSHA). Despite that good news, almost three million workers suffer injuries on the job in America each year – a rate of three cases per 100 full-time workers. Now, with the recent uptick in employment numbers comes news that workplace accident rates are rising in some industries – the first such rise recorded in years. Particularly noteworthy has been the sharp increase in construction worker injuries in the past year. The Bureau of Labor Statistics is reporting a jump of 27% in the number of fatal workplace injuries among those workers. A new Tri-State Transportation committee report finds that 99 pedestrians were killed on Connecticut roads between 2011 and 2013. The good news – that’s a drop from the 111 killed between 2010 and 2012. So what road has proved to be the state’s most deadly for pedestrians? Continuing a trend of the last seven years – U.S. Route 1 in Fairfield County. Elderly pedestrians were the most frequent victims of these fatal incidents – with those 60 years of age or older making up a third of the total. The report stated that the deadliest roads in Connecticut for pedestrians are what are called arterial roads. The primary function of an arterial road is to deliver traffic from collector roads to freeways or expressways. As such, many arteries are limited-access roads, or feature restrictions on private access. Do we have a lot of arterial roads in Connecticut? Actually, only about 15 percent of total lane miles in Connecticut are classified as arterial roads, but sadly half of pedestrian deaths in the State happen on these roads. So what can be done to make these roads safer? In the field of law – lawyers admitted to their state bar associations are permitted to accept cases in any area of the law – regardless of whether they are well qualified. Currently, seven of the personal injury lawyers at RisCassi & Davis are Board Certified – among the highest percentage of any law firm in the region. And what did our attorneys do to become Board Certified? their experience, all judicial and peer references, and an exam. They also had to report any and all disciplinary matters brought before any official body, whether public or private, for scrutiny by the NBLSC Standards Committee. All are not created equal. It’s very important not to settle for just any personal injury law firm. Make sure the majority of the lawyers in the law firm you choose are Board Certified. It matters. Summer and Boating Go Together. What You Need To Do To Stay Safe. There are over 12 million recreational boats registered in America. In 2012, the Coast Guard recorded over 4,500 accidents, 651 deaths and over 3,000 injuries from recreational boating accidents. There was also $38 million in property damage done as a result of these accidents. The majority of fatal boating accidents involve drowning and approximately 85% of those who drowned in 2012 were not wearing a life jacket. Seventy-five percent of the fatal accidents occurred in boats less than 21 feet long. The most often cited reason for the accidents? Open motor boats and personal watercraft were most often the vessel in use at the time of an accident. Operating the boat under the influence of drugs or alcohol was cited in 17% of the deaths. What steps should you take to make sure your next boating adventure is a safe one? Make sure you receive proper training before operating your boat. Always carry a Coast Guard approved life vest for each passenger on board. Operate your boat responsibly at all times. Stay away from areas not safe for your boat. Always operate your boat at a safe speed. And once dusk arrives – put the brakes on! Comply with all signage. This includes speed limit signs, no-wake zone signs and underwater hazzard warnings, etc . Always have a one passenger serve as a lookout to keep an eye out for other boats, objects and swimmers. Use great care when approaching a wake. Never jump a wake. When crossing a wake, cross at low speeds and watch for skiers and towables. When towing your boat, ALWAYS make sure your trailer is in proper working order and that your trailer lights work. Also ALWAYS make sure that your boat is properly secured to the trailer and that your trailer is properly secured to your vehicle before you move the vehicle. If you are ever injured while boating in Connecticut, call a qualified Connecticut personal injury lawyer. A knowledgeable Connecticut personal injury lawyer can help to ensure that your rights are protected. RisCassi & Davis has handled numerous boating accident cases over our more than 55 years serving the people of Connecticut. We have a great team dedicated to boating accident cases. Please contact us if we can help you. The consultation is free and there is no obligation of any kind. Recently released studies on highway safety provide disturbing news for motorists. 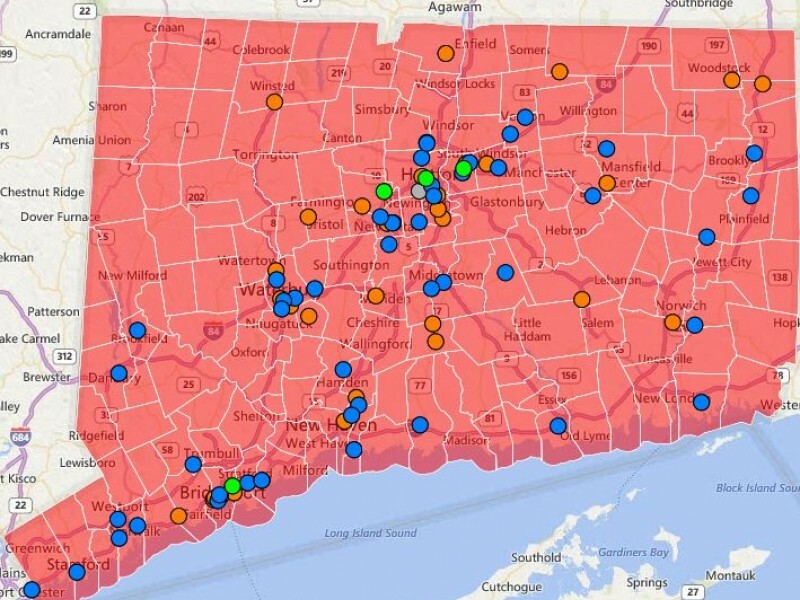 There is a higher frequency of car crashes in Hartford, ironically the Insurance Capital of the World, than in any other major metropolitan area in the U.S. And Bridgeport is close behind Hartford. These studies show that Connecticut drivers face real safety challenges – particularly errors made by other drivers. The two studies showing low scores for Connecticut drivers were the National Highway Traffic Safety Administration’s (NHTSA) 2010 Motor Vehicle Crashes Overview and the 2011 Allstate America’s Best Drivers Report. Why does that question matter? It matters because there are a number of high profile firms and attorneys representing injury victims who rarely if ever actually try cases in court. To be successful as a personal injury lawyer, opposing parties (lawyers and insurance companies) need to know that you are prepared to take a personal injury case to trial if need be – and that you have a record of winning those trials. Without that element – a personal injury lawyer’s ability to negotiate settlements is severely weakened. Leverage is gone. Will Red Light Cameras Prevent Car Accidents in Connecticut? The Connecticut State Legislature is currently considering legislation to allow cities and towns to install what are called Red Light Cameras. These devices record the behavior of drivers at traffic lights allowing for automated fining of drivers who run red lights. Drivers ignoring or running red lights are a persistent cause of serious car accidents in Connecticut.